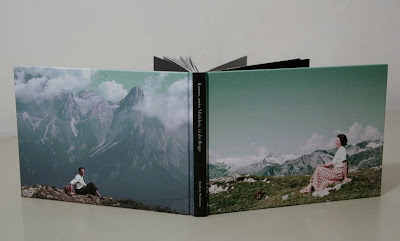 Andrea Stultiens - Limited edition book with box and slide, 2008. I just got back from the book fair in Frankfurt. Each year, (I've only been twice) has been overwhelming as far as the sheer number of books that are released into the wold each year. Rows upon rows, along floor after floor, within building after building, absolutely impossible to get your head around, but here is a very nice one. 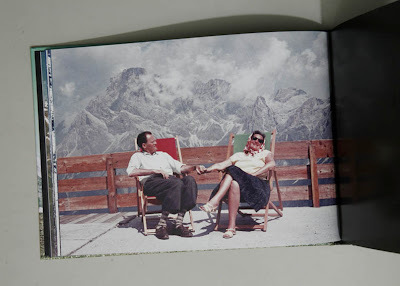 Andrea Stultiens, the Dutch photographer who also published the first book of In Almost Every Picture with Erik Kessels from KesselsKramer has just released a new collection of found imagery with Bildschöne Bücher in Berlin. 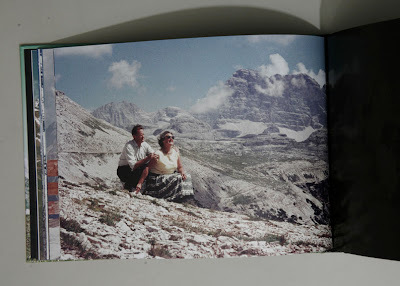 This is the story of D and G. A couple who spent several decades climbing and hiking in the alps, always with a camera. 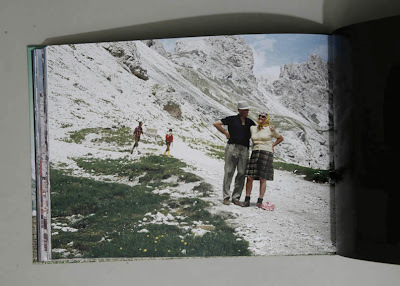 Whether they photographed the scenery is a mystery but what we know for sure is they always seemed to celebrate the day with a "Gipfel portrait" from the top. There are 42 images selected from an archive of hundreds and printed in what feels to be chronological order. A real design treat is that the images on the right side are the negative of the image which follows on the next page; the illusion is that of looking at slides against the light, that one angle where they feel almost like Daguerreotypes. This is fitting as the original archive was a collection of 35 mm slides. 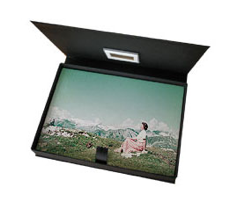 The interesting part of the special edition is that the box comes with one of the 42 original slides mounted in the top of the clamshell box. The "image" that you get, numbered 1-42, is the original slide, mounted in a glass frame. 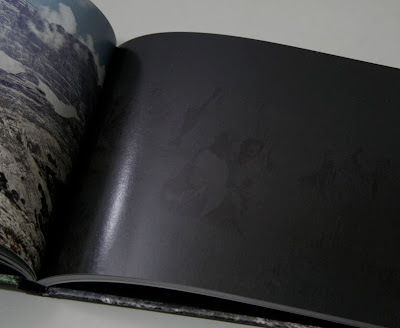 The special edition is the book in a black box with an original slide mounted in the top. 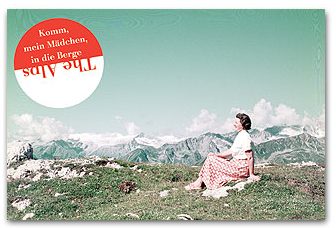 Get them directily at Bildschöne Bücher and be sure to check back from time to time for their helpful short-list of top 25 books.